Running half-marathons barefoot in the snow. Climbing mountains while wearing only shorts. Standing in a cylinder filled with 700 kilograms of ice cubes. Self-proclaimed “Iceman” Wim Hof, claims that he can do all of these things by influencing his autonomic nervous system (ANS) through concentration and meditation. The “Wim Hof Method,” is an intensive meditative practice that includes focused concentration, cold water therapy, and breathing techniques. Until recently, the idea that anyone could influence their autonomic nervous system was thought impossible given its assumed “involuntary” nature. The ANS is the system that controls all of our internal organs and regulates body functions like digestion, blood flow, and pupil dilation. Our brains also use the ANS to communicate to our immune system, which might explain another of the Iceman’s recent feats: suppressing his immune response after being dosed with an endotoxin (a bacteria), which in most people leads to flu-like symptoms and high levels of inflammation in the body. When researchers looked at the Iceman’s inflammatory markers after being exposed, they discovered the markers were low, and his immune response was 50% lower than other healthy volunteers. Basically, he showed very few signs of infection. Hof is definitely a statistical outlier, though one recent study followed students trained in his method. Apparently, they replicated Hof’s results and experienced no symptoms after being injected with Escherichia coli, a bacteria that normally induces violent sickness. So, outlier though he may be, researchers are intrigued by the mounting evidence showing that mindfulness has a positive impact on our immune system. The immune system is one of the most critical purveyors of our physical wellness. It’s our defense system, our armed forces that work to protect us from foreign invaders like viruses or bacteria. It is so precisely designed that it can distinguish between harmful unwanted pathogens and our own healthy cells and tissue. When our immune system struggles, it’s like a welcome sign for infection and disease. It is so wise that the immune system has even been referred to as our “floating brain,” aptly named for its ability to communicate with the brain through chemical messages that float around inside our body. This means that if our immune system is weakened, perhaps as a result of chronic stress or invading pathogens, our whole body system won’t operate as usual. When our immune system struggles, it’s like a welcome sign for infection and disease. Beyond the Iceman’s superhuman experiences, there is increasing evidence that mindfulness meditation does impact our immune system. Reduced markers of inflammation, high levels of which are often correlated with decreased immune functioning and disease. Increased number of CD-4 cells, which are the immune system’s helper cells that are involved in sending signals to other cells telling them to destroy infections. Increased telomerase activity; telomerase help promote the stability of chromosomes and prevent their deterioration (telomerase deterioration leads to cancer and premature aging). These results need to be replicated with more rigorous methodology, but they are promising, and potentially pave the way for using mindfulness-based techniques to boost the immune system, enhancing our defense against infection and disease. And this isn’t the only study showing positive results. In another eight-week study, researchers at UCLA had 50 HIV-positive men meditate daily for 30-45 minutes. Doctors found that, compared with a control group, the more training sessions the men attended the higher their CD-4 cell count at the conclusion of the study (remember, CD-4 cells are the immune system’s helper cells). This study links mindfulness with a slowing down in CD-4 cell count drop, which is associated with healthier immune system functioning. Richard Davidson, esteemed professor at the University of Wisconsin Madison, also conducted a study investigating whether mindfulness meditation could alter brain and immune function. In his study, people were injected with the flu vaccine and were either part of a group receiving mindfulness training or a control group. After eight weeks, the mindfulness group showed greater levels of antibodies available to respond to, and prevent, potential illness. Decreased Stress, Increased Emotional Regulation: It has been confirmed through research that what we think and feel impacts our immune system via chemical messages from the brain. Therefore, stress, negative thinking styles, and certain emotional states can have a negative impact upon our immune system, creating an environment increasingly susceptible to disease. Mindfulness’s mechanisms toward greater well-being are complex and multifold, but practice is implicated in decreased stress, decreasedrumination, and increased ability to deal with difficult emotions. In this way, practicing mindfulness might stave off impaired immunity. Targeted Brain/Immune System Communication: Another link between mindfulness and the immune system is mindfulness’s direct impact upon brain structures responsible for talking to the immune system. 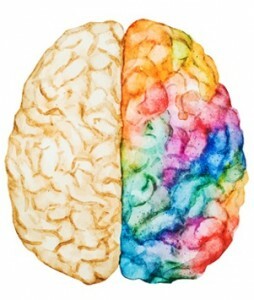 More specifically, research indicates that mindfulness meditation increases activity in the prefrontal cortex, right anterior insula, and right hippocampus, the areas of the brain acting as our immune system’s command center. When these parts are stimulated through mindfulness, the immune system functions more effectively. Activation of the Second Brain (the Gut): Mindfulness can boost immunity via the gut microbiota. As per a previous article I wrote here on Mindful, the human body is comprised of trillions of micro-organisms, most of which reside in the gut, which are called the gut microbiota. It turns out that the gut microbiota are key players in the development and maintenance of the immune system; the bacteria in the body that helps distinguish between intruder/foreign microbes vs. those that are endogenous. Studies have shown that stress tips our microbial balance, putting us at risk for dysbiosis, (a shift away from “normal” gut microbiota diversity), stripping us of one of our prime defenses against infectious disease, not to mention the cascade of reactions that ensue, which potentially wreak havoc on the central nervous system (CNS). Mindfulness-based stress reduction impacts our immune system by helping to maintain healthy gut microbiota diversity that is often upset by stress.